In case of appli­ca­tions, the don’t sup­port advanced Open­Type fea­tures, it’s pos­si­ble to access addi­tional Glyphs man­u­ally. 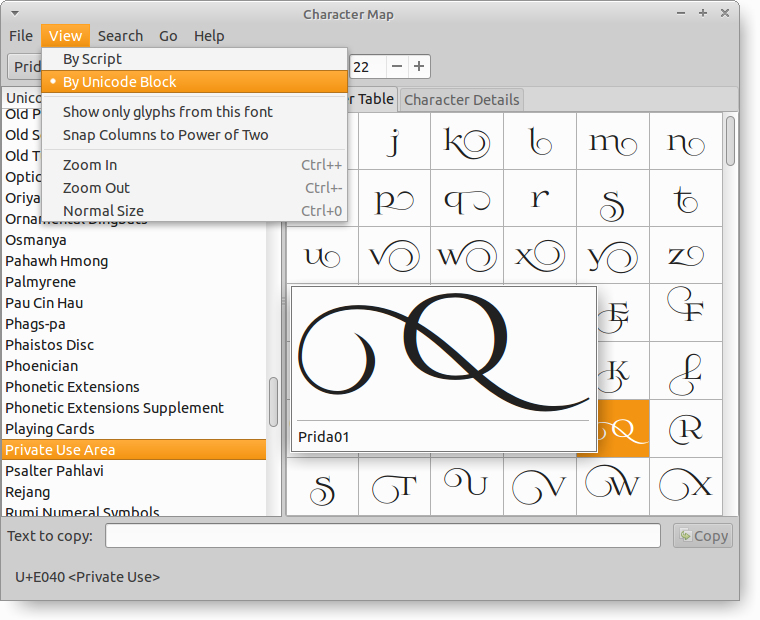 For insert eks­tra char from my font to text in Your doc­u­ment, You can use sys­tem apli­ca­tions like a Char­ac­ter Map (Win­dows), Char­ac­ter Map (Linux Gnome) or Char­ac­ter Palette (Mac). 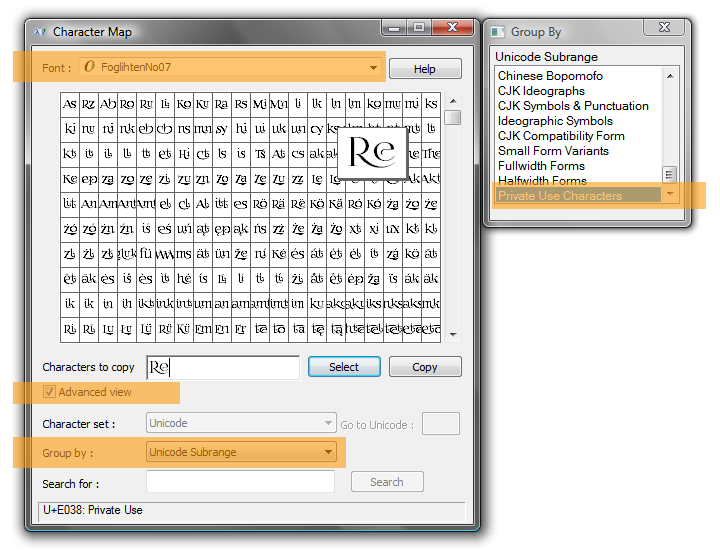 All addi­tional Glyphs are inserted in Uni­code – Pri­vate Use Area.